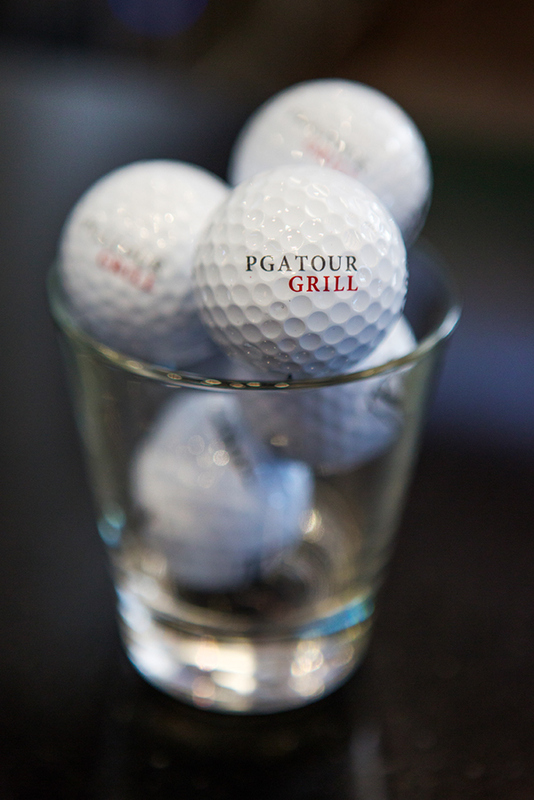 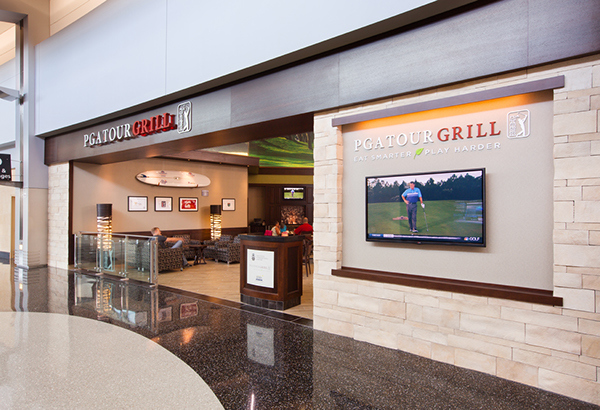 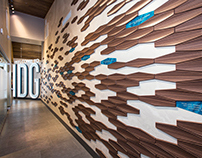 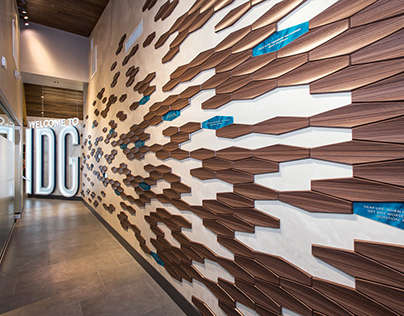 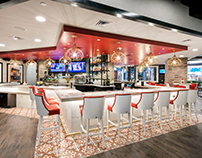 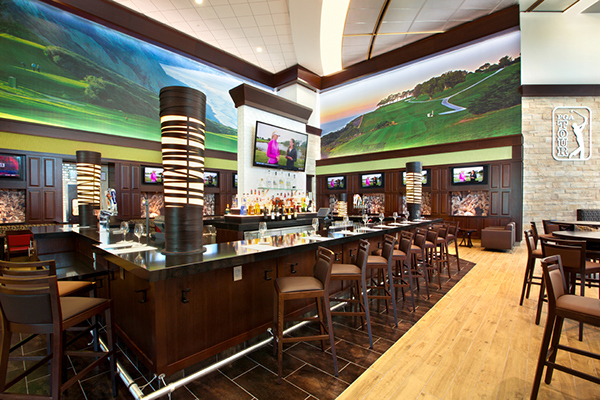 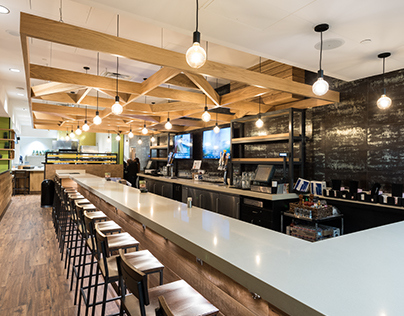 To achieve the vision for the design of the PGA Tour Grill HMSHost collaborated with Ideation Design Group to create a space that is inviting to golf fans and travelers alike. 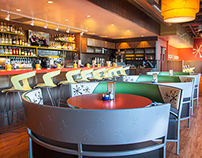 The 3,200 sq. 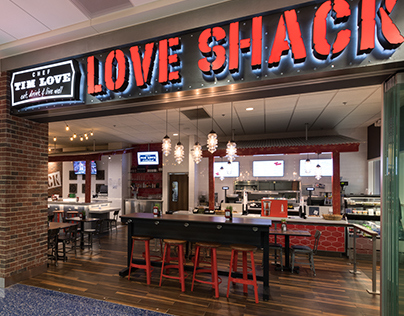 foot dining room is housed in the San Diego International Airport. 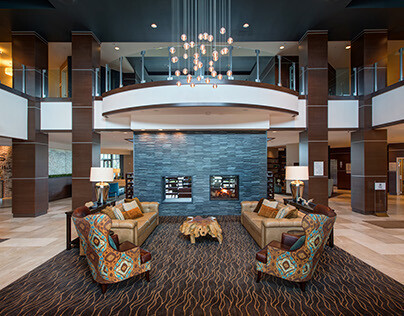 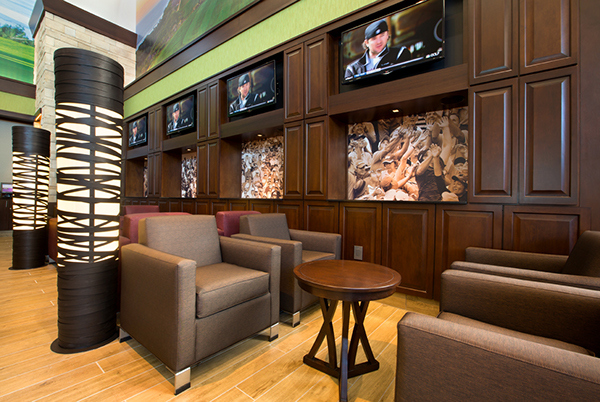 The sophisticated rich tones and textures complimented by the wood paneling, designed to immolate lockers, boasts an upscale clubhouse feel. 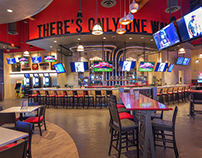 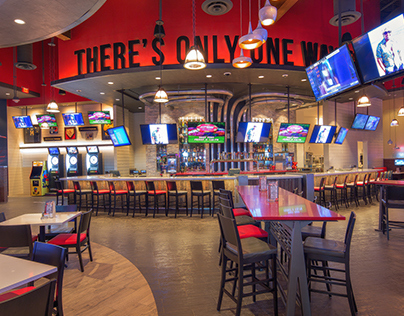 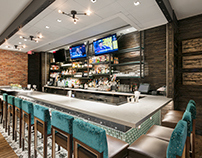 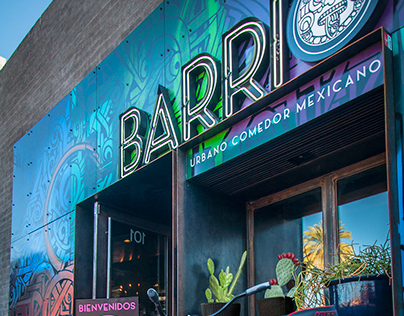 Much of the space is custom designed including the free-standing backbar tower, oversized custom murals and enormous light towers throughout which add a warm feel that is inviting to guests. 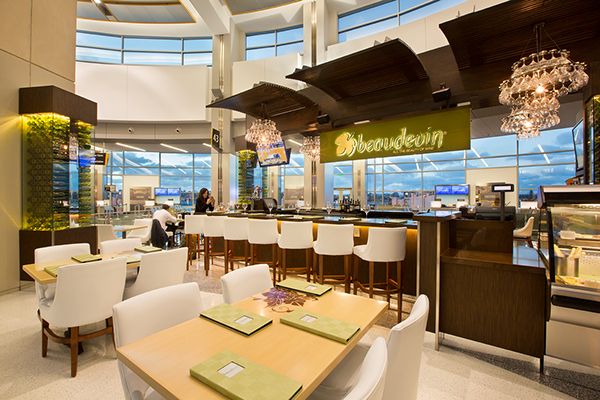 Beaudevin, an original HMSHost wine bar concept was conceived to offer travelers a relaxed and inviting alternative to unwind and enjoy a glass of wine and a meal. The Ideation Design team selected warm wood tones combined with polished finishes to give the wine bar its rustic yet elegant ambiance. 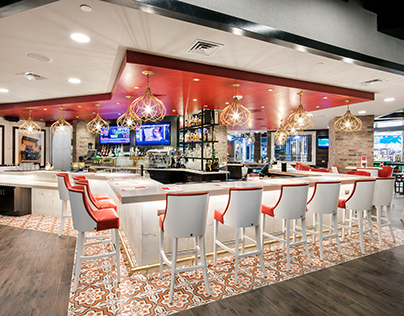 A wood-look tile is used to simulate a sophisticated oak floor, which is complemented by a colorful French-inspired accent tile to bring character into the space. 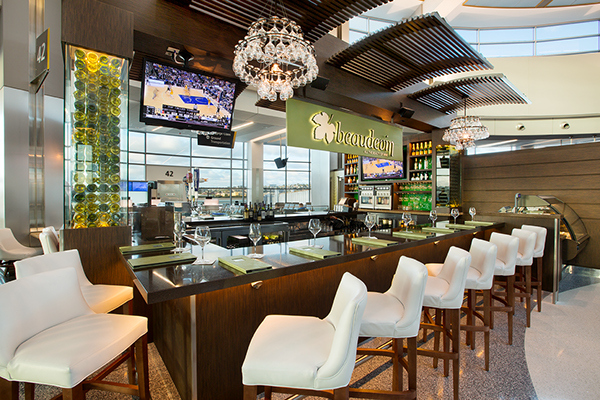 Beaudevin’s signature green wine bottles are also used to create a stunning feature wall that is illuminated by natural daylight. 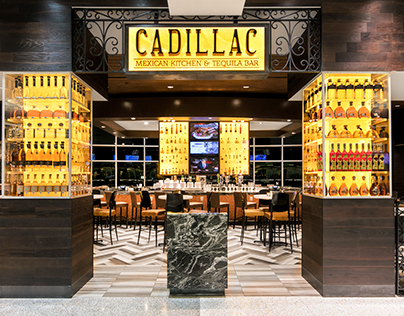 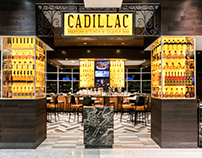 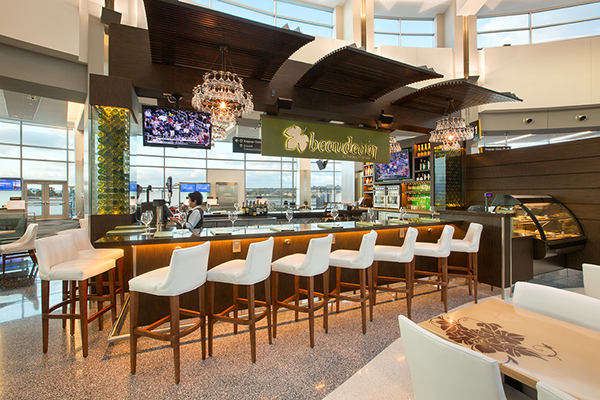 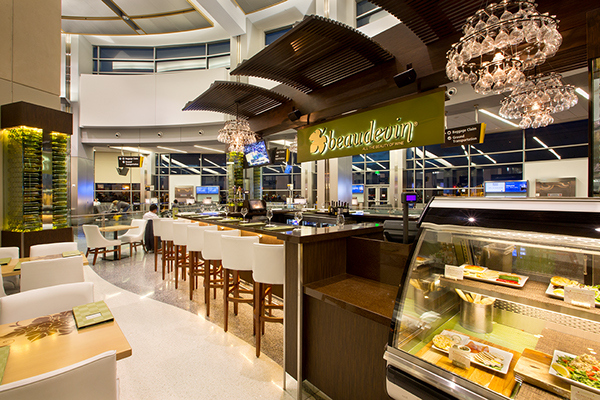 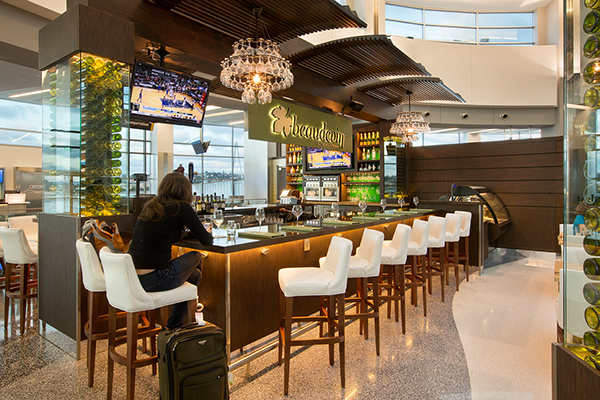 A custom chandelier made of wine glass and decorative glass pendants add additional sparkle to the approximately 1200 square foot restaurant situated in the Rotunda at San Diego International Airport.